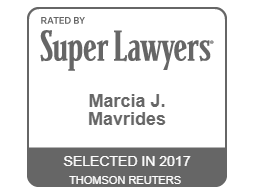 For over 34 years, Marcia Mavrides, lead attorney at Mavrides Law, has been a recognized leader in the divorce and family law community throughout Boston and Massachusetts. Attorney Mavrides is listed in the top 5% of lawyers, and has an AV preeminent rating, has been designated among the Top Women Lawyers in Family Law several years in a row, and has been consistently named to Massachusetts and New England Superlawyers. 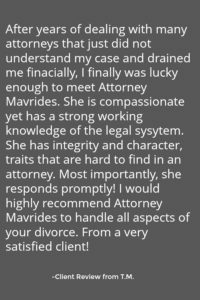 Attorney Mavrides owes her success to her ability to work closely with each client, helping them toward a comprehensive and clear understanding of the legal process and its impact on their lives. 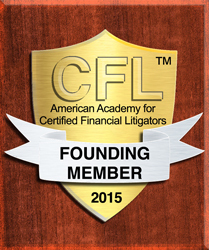 Her goal is to work toward a fair resolution that provides clarity and predictability for her clients long after the legal matter has concluded. 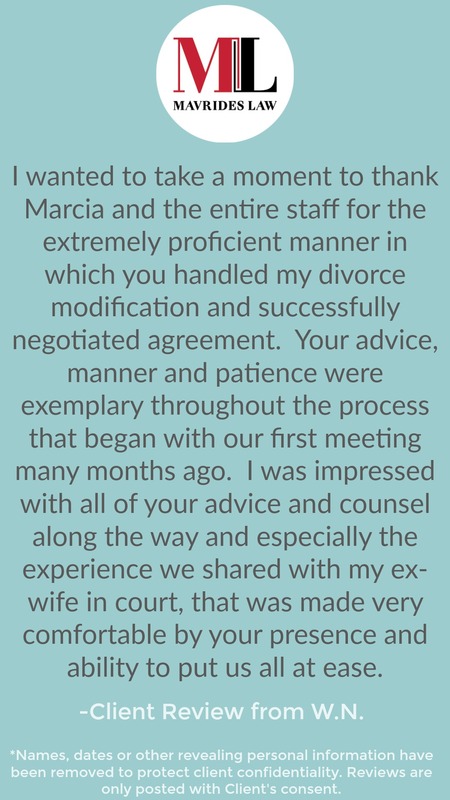 Attorney Marcia Mavrides works with her clients to develop a greater understanding of the many complexities that confront them in a divorce, including: real estate, retirement, alimony, financial planning, tax implications, health insurance and employment matters. 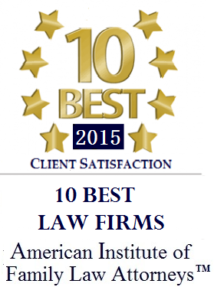 It is Attorney Mavrides’ priority that each client receive timely communications and advice at every stage of the legal process, so they are empowered to determine the best terms for settlement or whether to proceed to trial. 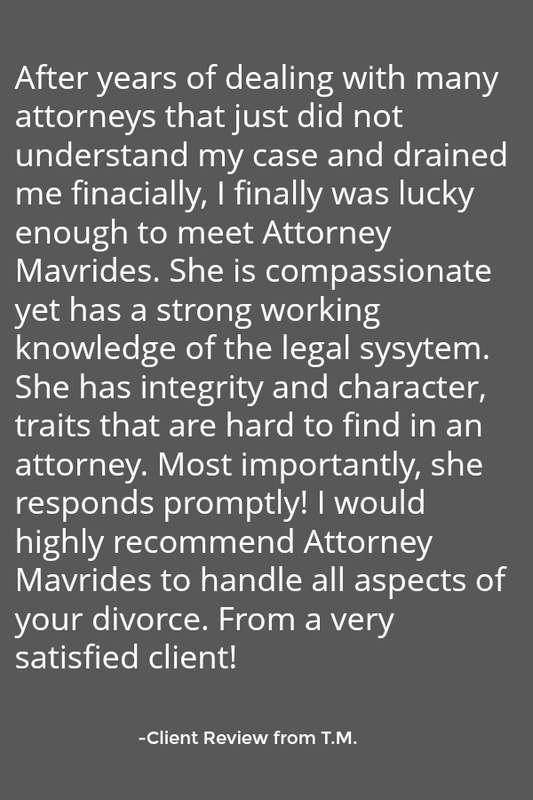 Mavrides Law focuses exclusively on family law, including: divorce, separation, custody, visitation/parenting plans, child support/college expenses, alimony, income attribution, asset division, parental relocation, paternity, grandparents rights, guardianships, modifications, contempt proceedings, restraining orders and mediation. 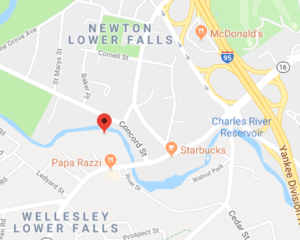 MCFM – Massachusetts Council of Family Mediation, Inc.
Would you like to learn more about Marcia Mavrides and her experience? 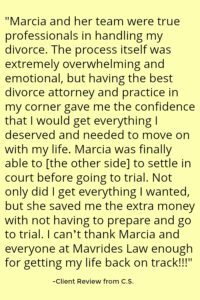 Click here to view Marcia's printable bio. 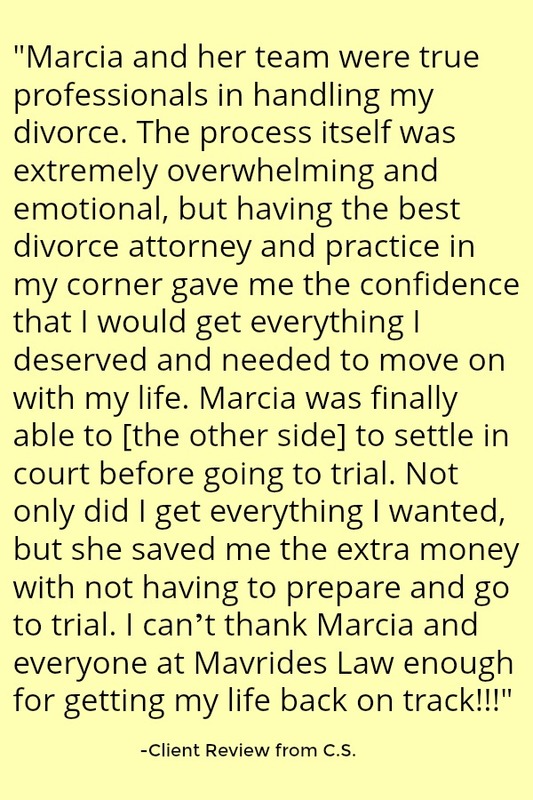 "Marcia and her team were true professionals in handling my divorce. 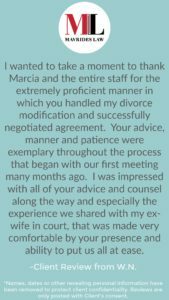 The process itself was extremely overwhelming and emotional, but having the best divorce attorney and practice in my corner gave me the confidence that I would get everything I deserved and needed to move on with my life."